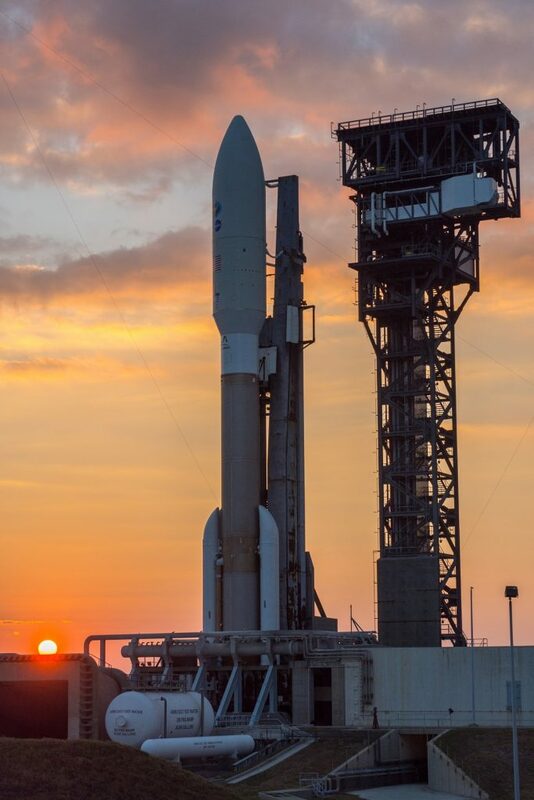 A United Launch Alliance Atlas V rocket stands ready atop its Cape Canaveral launch pad for liftoff with the GOES-R meteorological satellite to ring in a new era in weather forecasting. Liftoff is set for a one-hour launch window opening at 22:42 UTC on Saturday and it will take Atlas V just over three and a half hours to make its orbital delivery and send GOES-R off on a mission of at least 14 years. 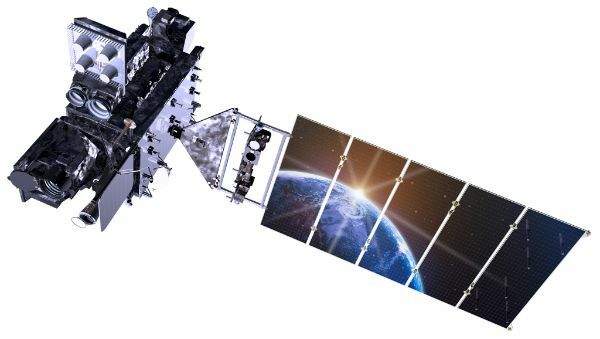 For technical information on the 5,200-Kilogram GOES-R satellite, visit out detailed overviews of the satellite’s mission, the spacecraft core systems, and the state-of-the-art instrument suite. 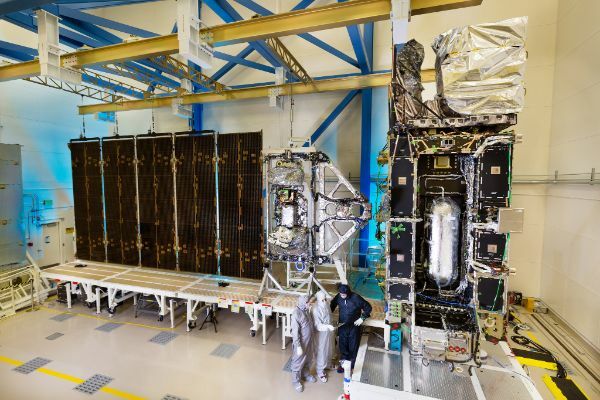 Ahead of the countdown, technicians will already be busy at the pad, completing final hands-on work and closing out the Vertical Integration Facility, pad facilities and the Atlas V launcher. 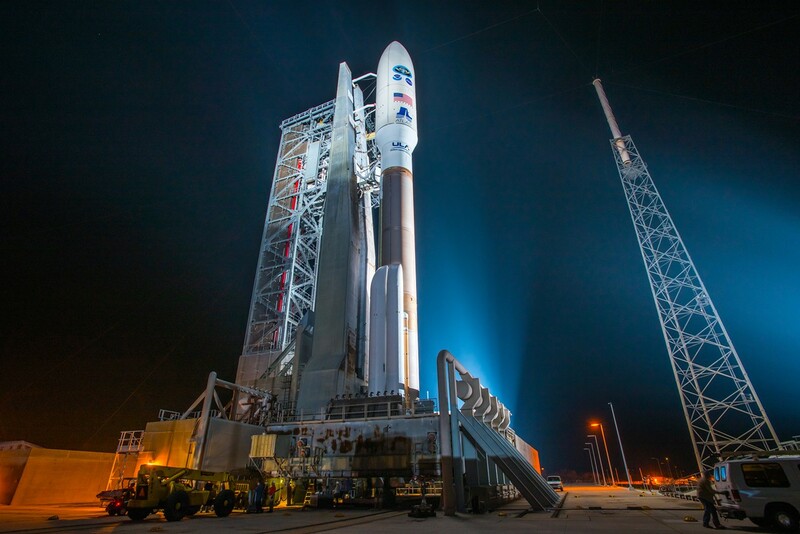 The first step completed at T-6 Hours 20 Minutes is the activation of the Atlas V rocket for a multi-hour testing campaign. 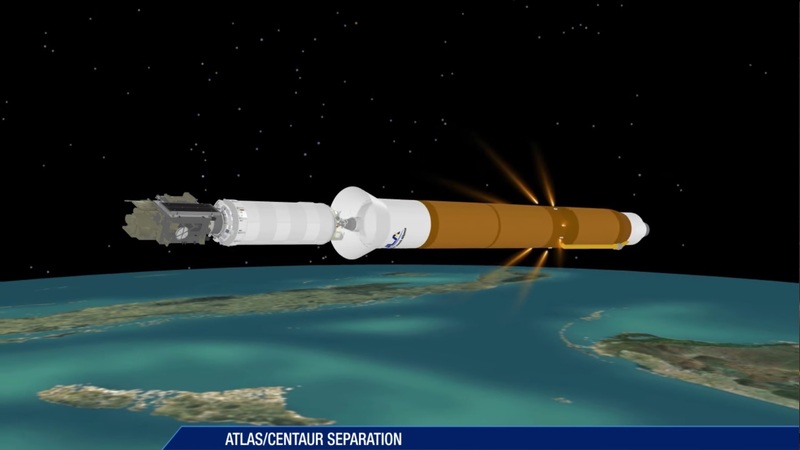 The Atlas V 541 is beefed up with four Solid Rocket Boosters attached to the Common Core Booster & Centaur stack. 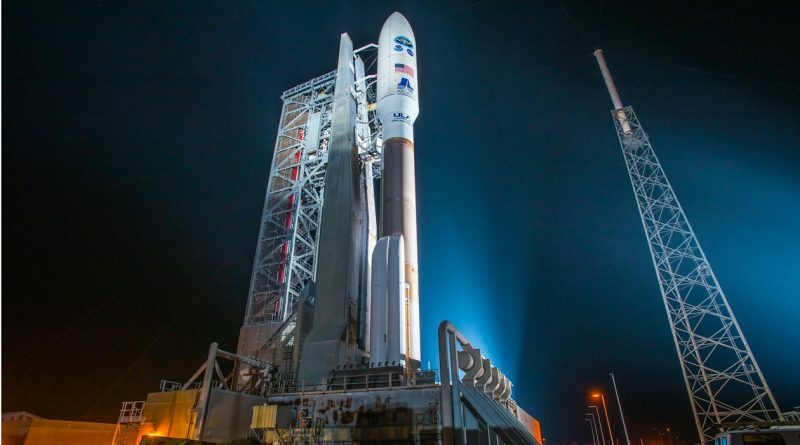 It marks only the fourth launch of the 541 version that flew for the first time in 2011 with the Mars Science Laboratory Rover followed by a pair of launches for the National Reconnaissance Office in 2014. Following the activation of the launcher, teams begin a series of checkouts of the electrical system of the rocket. Meanwhile, at the launch pad, technicians complete final hands-on work. While that is in progress, the Launch Team puts the Atlas V through a series of communication checks on its S- and C-Band Systems. Flight Termination System testing is also completed and the Nitrogen Purge flow on the vehicle is initiated. L-4 Hour commanding is performed by teams to set up for flight control system checks and fueling preparations. By L-3 hours, the launch pad is cleared by all personnel. The final tank to be loaded during the countdown is the Liquid Hydrogen Tank of the upper stage that also goes through the usual steps. Centaur is loaded with a total of 48,100 liters of -253-degree Celsius LH2 fuel. Centaur can look back at over 200 previous missions under its belt – most of which coupled with an Atlas – a duo that has been operating for several decades. When clocks reach T-4 Minutes, the countdown enters its final built-in hold for final polling of the launch team prior to pressing into Terminal Count. This hold can be extended in case of technical issues or uncooperative weather. At T-2.7 seconds, the massive two-chamber RD-180 main engine of the Common Core Booster ignites and soars up to its full liftoff thrust of 390,250 Kilogram-force. As the four boosters ignite, Atlas V will jump off the pad with a liftoff thrust of 1.08 Million Kilogram-force creating an initial thrust to weight ratio of 2.0. Less than ten seconds after liftoff, Atlas V will start its roll and pitch program to align itself with its precise ascent path, heading south-east on the standard route to Geostationary Transfer Orbit. Atlas V will pass Mach 1 36 seconds after blastoff and encounter Maximum Dynamic Pressure just after passing 46 seconds into the flight. Burning out after 94 seconds, the four SRMs will have completed their job of providing that extra push needed to boost GOES into orbit. The vehicle will hold onto the SRMs for about 16 more seconds before separating them in a staggered fashion – first jettisoning SRMs 1 and 2 followed 1.5 seconds later by the remaining two boosters. Powered by the RD-180 engine alone, Atlas V will continue its flight, burning 1,150 Kilograms of propellant each second. 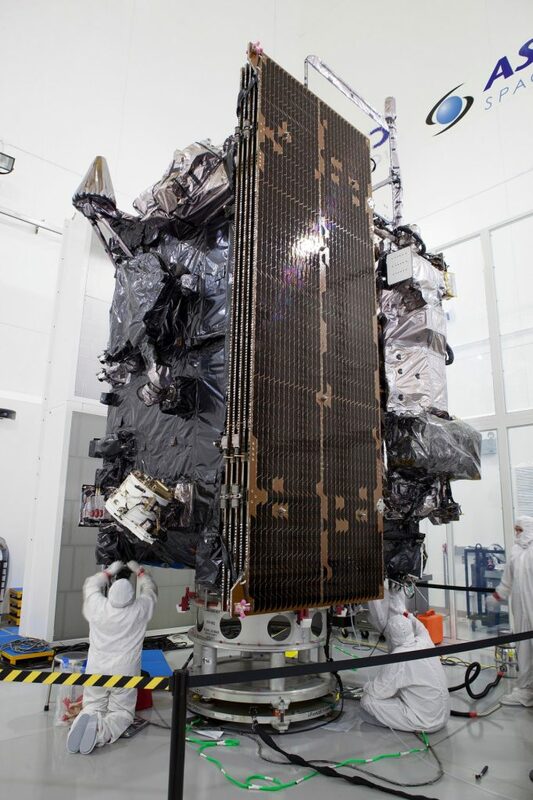 Climbing out, Atlas V will separate its protective payload fairing three minutes and 30 seconds after launch, exposing the GOES-R satellite since the launcher will be out of the dense atmosphere where aerodynamic forces can no longer harm the spacecraft. The Forward Load Reactor is jettisoned five seconds later. Approaching the end of the first stage burn, the RD-180 engine will be throttled back to maintain a maximum acceleration of 4.6 Gs. 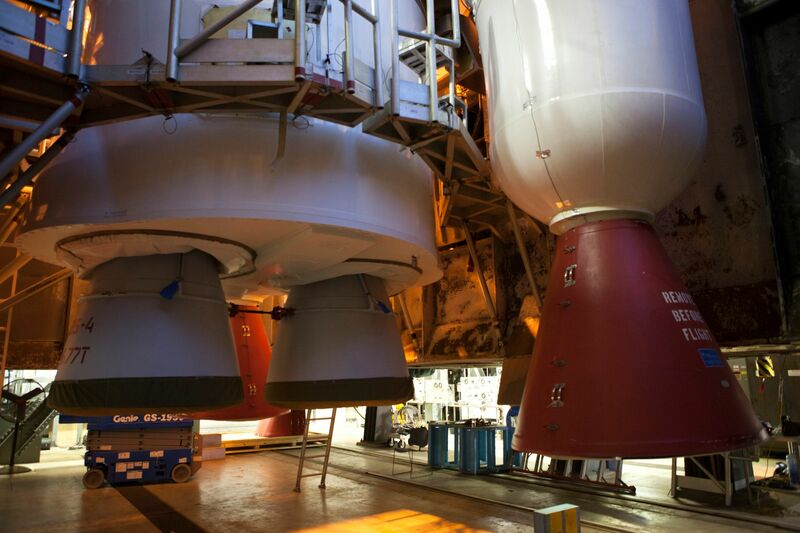 Shutdown of the Common Core Booster occurs at T+4 minutes and 22 seconds followed six seconds later by stage separation that is accomplished by firing pyrotechnics and igniting eight retrorockets on the CCB to safely take it away from the Centaur Upper Stage. 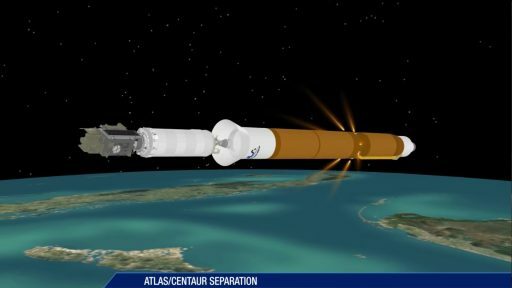 Centaur will purge its Reaction Control System and fire up its RL-10C engine at T+4 minutes and 38 seconds on the mission’s first of three main engine burns. RL-10C delivers 10,200 Kilogram-force of thrust over a burn of 7 minutes and 38 seconds that will deliver the stack into a Low Earth Parking Orbit a little over 200 Kilometers in altitude, inclined 28 degrees. 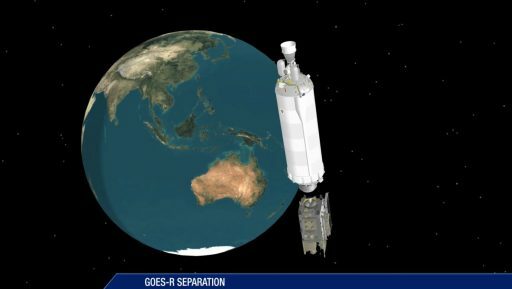 The GOES satellites do not take the standard route to Geostationary Transfer Orbit which would require two upper stage burns – the first to a Parking Orbit and the second over the equator to raise the apogee. Instead, GOES uses a three-burn mission to achieve an orbit closer to GEO in terms of the change in velocity needed by the spacecraft to boost itself to its operational orbit. 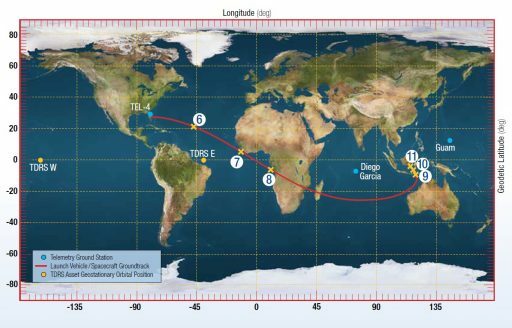 The second burn is planned to begin 21 minutes and 59 seconds into the flight and last for 5 minutes and 36 seconds to boost the apogee of the orbit in order to achieve an elliptical transfer orbit, not yet peaking at GEO altitude. Next is a long coast phase to allow the stack to gain altitude so that the short third burn can be conducted at an altitude beyond perigee but before arriving at apogee which will result in an altitude increase on both, perigee and apogee. During the coast phase, the stack performs a PTC Roll to evenly distribute sun exposure on the vehicle and Centaur performs regular RCS thermal conditioning firings. In its orbit, the stack will make a pass over South-Central Africa, heading out over Madagascar for a lengthy pass over the Indian Ocean. The third burn will be just 93.3 seconds in duration beginning three hours, 27 minutes and 33 seconds into the flight, targeting an insertion orbit of 8,099 by 35,286 Kilometers at an inclination of 10.6 degrees. Separation of the GOES-R spacecraft is expected three hours and 32 minutes after liftoff to be sent on its way to complete eight days of orbit-raising and four days of fine-tuning to arrive in its desired Geostationary Orbit. Partial Solar Array deployment is planned six minutes after separation and two-way command and telemetry operations should be established by T+3 hours and 51 minutes.